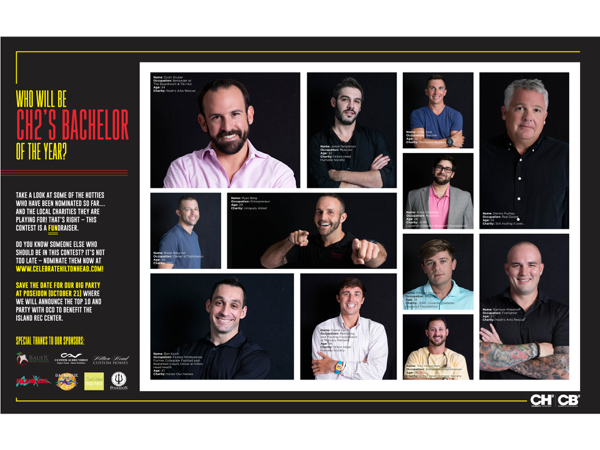 Hilton Head Magazines: CH2/CB2: Who will be CH2’s Bachelor of the Year? Take a look at some of the hotties who have been nominated so far…and the local charities they are playing for! That’s right – this contest is a FUNdraiser. Do you know someone else who should be in this contest? It’s not too late – nominate them now at www.celebratehiltonhead.com! Save the date for our BIG party at Poseidon (October 21) where we will announce the Top 10 and party with OCD to benefit the Island Rec Center. He is a Technician in his twenties I can send you pictures too!